AOL has been around the industry for a long time and they have been upgrading their software every now and then. However, people prefer to use the latest software that they can find and it’s quite hard to transfer all your appointments and contacts from one software to another. 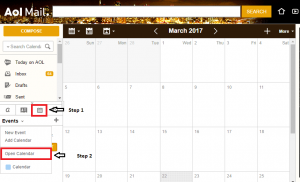 These steps are your easy guidelines on how you can import your AOL calendar to Outlook. 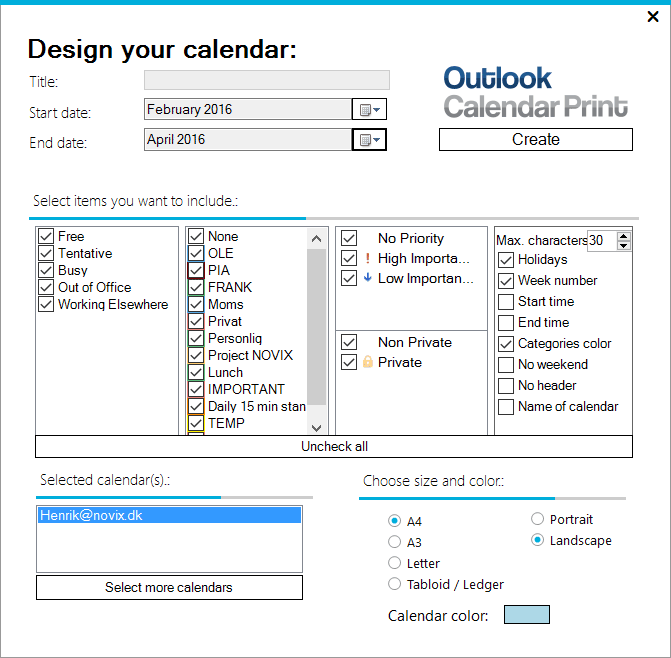 Once it is imported, you can easily print and customize it by using Outlook Calendar Print. 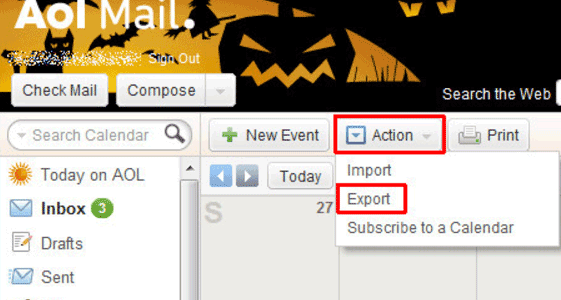 The first step to do is to export your files or AOL calendar in order to import it to your Outlook Calendar. Sign in to your AOL account using the url mail.aol.com. Once you’re signed in, you will see a button that looks like a calendar. 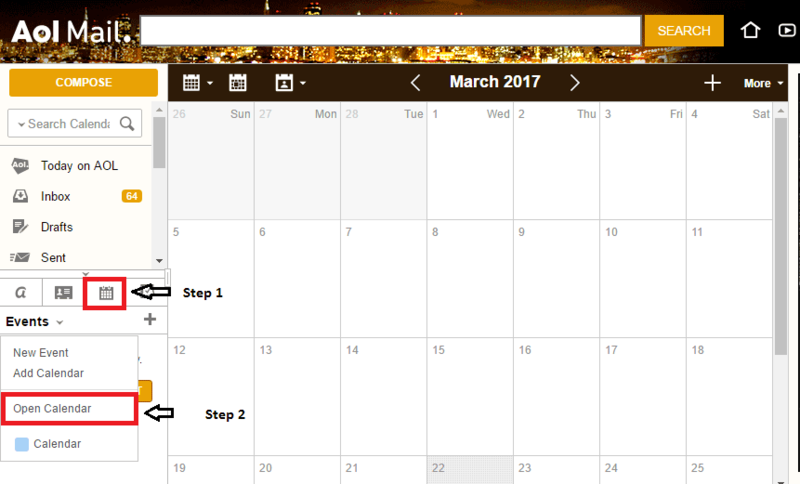 The drop-down beside the Event button will show different options, click on Open Calendar and it will open your Calendar. Once it is open, on the upper-right corner of the page, you will see the “More” button. You will see different actions in this area. Click on the button that says “More” and the choose Export. It will bring you to a page wherein it’s going to ask you the specific date that you want to export. You have the freedom to choose what is the Start and End Date of file that you want to export and then import to another e-mail software. Choose your desired date and click on Export. It will bring you to a page wherein it’s going to ask you the specific date that you want to export. You have the freedom to choose the Start and End Date of the data you want to export and then import it to another e-mail software. Choose your desired time frame and click on Export. Once it is successful, you will see a downloaded file on the bottom of the window. Once you click the downloaded file, it will automatically ask you what program will you choose to open or import the downloaded file. Choose Outlook and it will automatically sync in the software. You don’t have to import it manually because once you choose Outlook, your AOL calendar will automatically sync to the program. Once you are finished, you can start adding appointments or events into the calendar again. All of the appointments that you had in your AOL calendar will be the same when you open it using Outlook. 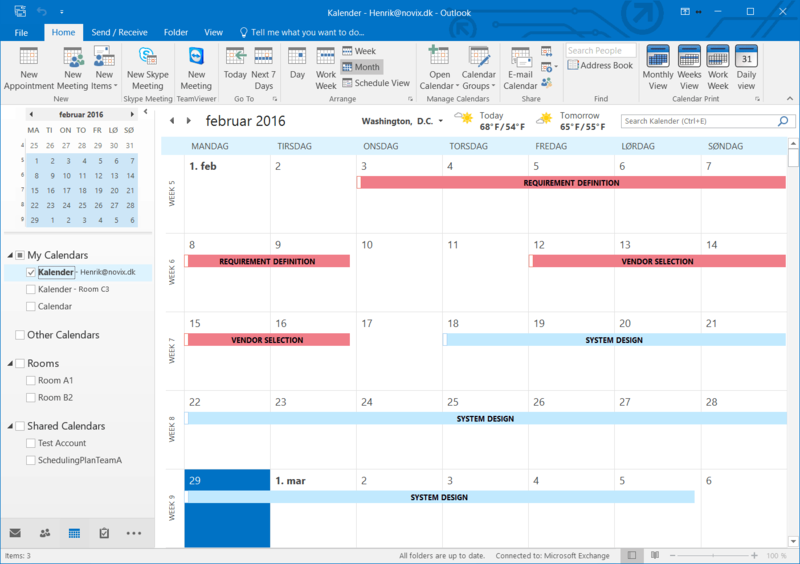 It is even easier to print it if you have Outlook Calendar Print. Customizing is a good way to express yourself by design something according to your personal style of preference. 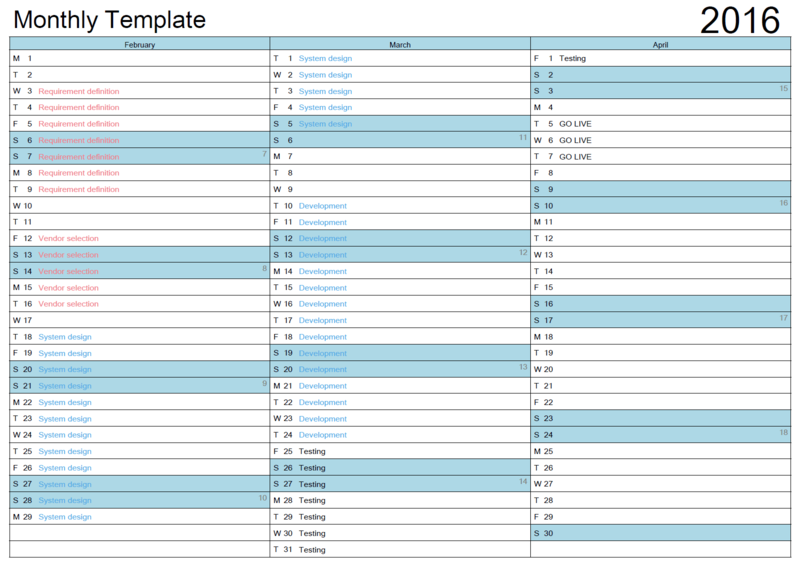 Printing is easier if you have a plugin or add-on that can help you with it, especially if you want it to be customized. There are printing software that let you print it but with limited design and options. This is the reason why Outlook Calendar Print can do the job better. 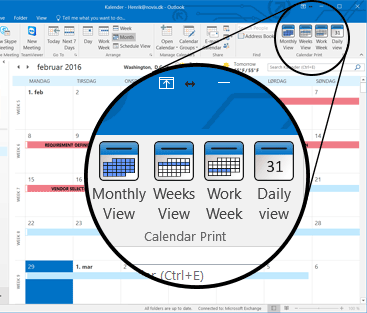 Using Outlook Calendar Print is easy and convenient. 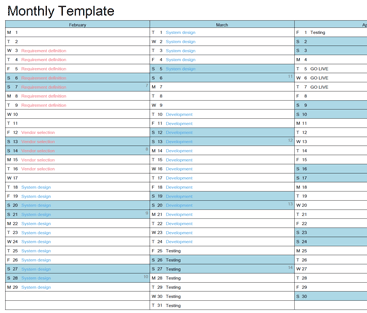 The templates for print using the software will be installed automatically inside Outlook. You will have the option to choose what will be the language for the calendar. You can also choose what color and size would be suitable for the calendar that you are going to print and if you have multiple calendars you can combine them in overlay or side by side in one print. The customization is a fun part to do especially if you want to print it for a specific occasion or if you just want to hang it in your office.